Retrospective analyses from distinct clinical trials have suggested that host anti-tumor immunity as measured by tumor infiltrating lymphocytes (TILs) is important for the outcomes of primary triple negative breast cancer (TNBC), but the clinical utility of TILs in day-to-day management of primary TNBC is still limited. A pooled analysis was conducted of the clinical trials that have investigated the TILs in TNBC patients treated by anthracyclines-based (A) chemotherapy regimens in order to gain a robust understanding of the prognostic value of TILs in this setting. Eligible studies were those randomized clinical trials that have evaluated the prognostic associations of TILs in patients diagnosed with early stage TNBC treated with A or A plus taxanes (A+T). In a multivariable analysis adjusted for age, nodal status, tumor size and chemotherapy regimen, stromal TILs significantly added independent prognostic information both for IDFS and OS. This large pooled individual patient data analysis confirms the strong prognostic role of stromal TILS in primary TNBC treated with A or A+T. TILs can be useful for predicting patients’ prognosis and for stratification in future clinical trials enrolling TNBC patients. 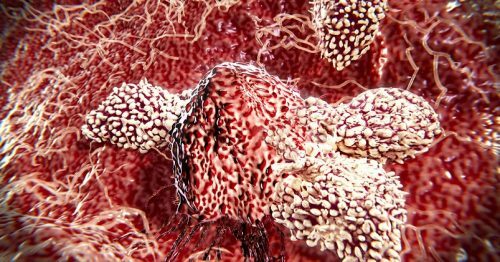 A large proportion of primary TNBC patients seem to have pre-existing immunity making them rational candidates for immunotherapy clinical trials. Therefore, this tool will help you determine the prognosis of your patient wherein you just have to include as variables TIls, nodal status, age and tumor size. You can find detailed instructions on how to use the tool here and here.